#GivingTuesday: Please Donate to Nevada Cure! Nevada Cure Celebrates #GivingTuesday and Pledges to find volunteers and be open to your donations for the upcoming months ahead. This #GivingTuesday, November 27th, Nevada Cure will celebrate giving by finding volunteers and being open to your donations for the upcoming months ahead. “We are a support- and advocacy group of people whose life has been negatively affected by Nevada’s criminal justice system. We offer compassionate caring and information to help prisoners, their families, and friends navigate “the system”. Our board members hold a Monthly Meeting in Las Vegas which is also a teleconference. We publish an Informational Bulletin for people inside and out. Our funds come mosty from donations. * For the coming months we are fundraising for our Informational Bulletins (readable online and printed and sent to our members inside and out), as well as for our ongoing costs to keep our organization running smoothly. 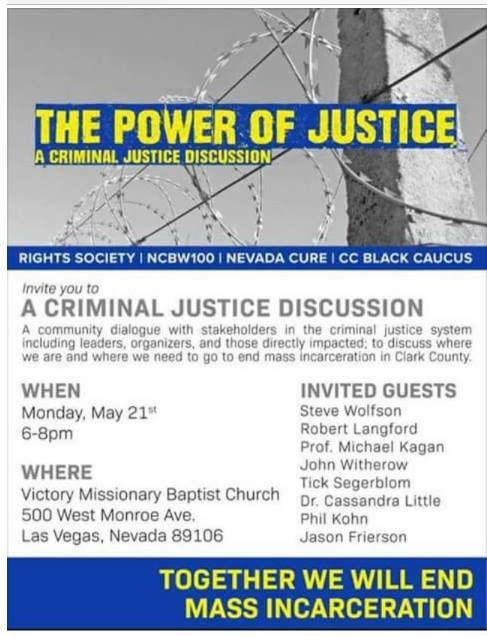 Gaining knowledge about the prison system, rules and regulations, new laws, politics, is very important, and Nevada Cure wants to inform both the public, its members as well as the members inside as well as possible. * We are also in search of new volunteers to join our team for various tasks. This is why we are joining #GivingTuesday this year! Those who are interested in joining Nevada Cure’s #GivingTuesday initiative can visit this page: http://www.nevadacure.org/p/donate-to-nevada-cure.html. In 2011 a small group restarted the Nevada chapter of Citizens United for the Rehabilitation of Errands (Cure). Nevada has had a reputation of prisoner health care negligence, staff to prisoner violence, very unhealthy prison food, and many more problems that thwart rehabilitation of formerly incarcerated citizens. 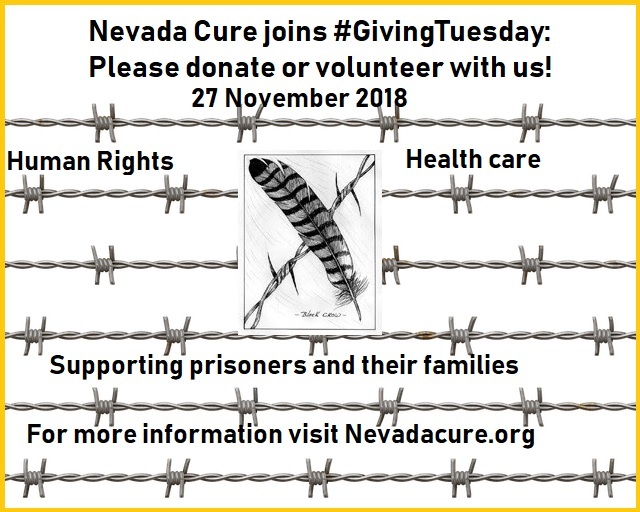 With help of volunteers, donations by generous people, and persistence, Nevada Cure has established itself as a dedicated group of volunteers addressing the problems inside the Nevada prison system, and creating more justice and fairness, and thereby less repeat offenders, and more safety. To learn more about our work, please visit our website at: Nevadacure.org. Members pay an annual $10.00 and are invited for the meetings, and they receive the Informational Bulletin. We also have volunteer-members. You are needed to help sustain Nevada Cure! Nevada Cure needs you! We need support for financing our Newsletters with news from the prisons in Nevada. The Nevada Cure Informational Bulletin is currently the only newsoutlet for (and by some of) the prisoners in Nevada. With the sheer inhumane conditions prisoners have been enduring in Nevada, spreading the word about what goes on inside is essential: the public, the representatives of the people, needs to stay informed of human rights abuses, but also of opportunities for rehabilitation, injustice cases, etc.